French startup Ledger unveiled a new hardware wallet at CES this week. While the device isn’t going to ship until March, the company let me play with a prototype version of the device. 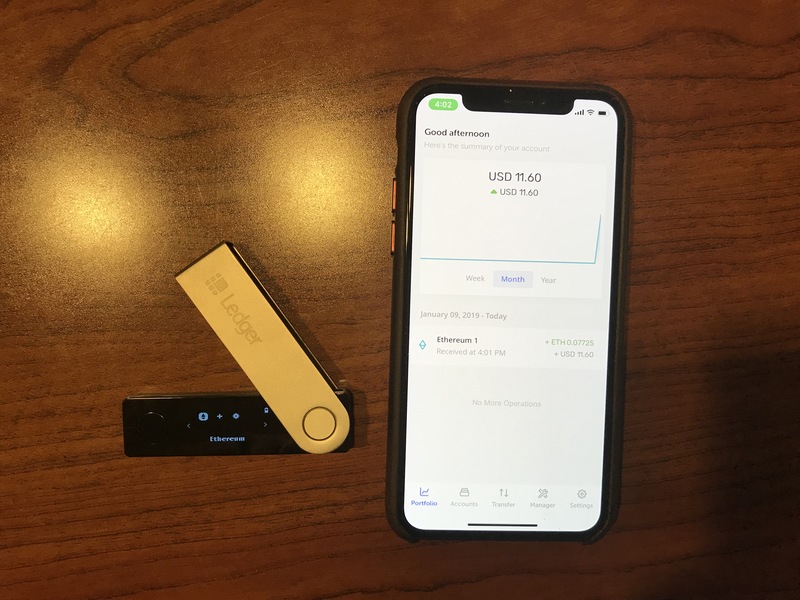 The Ledger Nano X feels just like using the Nano S, but on mobile. When the company’s previous hardware wallet first came out, that was before the cryptocurrency boom, before Ledger raised $75 million. And the user experience wasn’t great. You had to install multiple Chrome apps to manage multiple cryptocurrencies, switch between each app when you wanted to access your balance and manage your crypto assets. But things got much better when the company released Ledger Live on macOS, Windows and Linux. With this new app, you could finally view your portfolio balance and manage multiple crypto assets from the same desktop app. The logical next step was mobile. And you have to get a new hardware wallet for that. The Ledger Nano X looks more or less like the Ledger Nano S, but slightly bigger. It’s shaped like a USB key and it has a tiny screen to confirm transactions on the device. There’s a tiny 100 mAh battery in it and a slightly bigger screen. The battery should last a couple of months when you’re not using the wallet, and around 8 hours of active use. The microUSB port has been replaced by a USB-C port. The buttons are now on each side of the screen instead of on the side of the device. After you pair the device with your phone, you can control everything from your iOS or Android phone. You can install apps on the Ledger Nano X, access your wallets and send cryptocurrencies. On iOS, you can lock the app using a password and optionally Face ID or Touch ID. 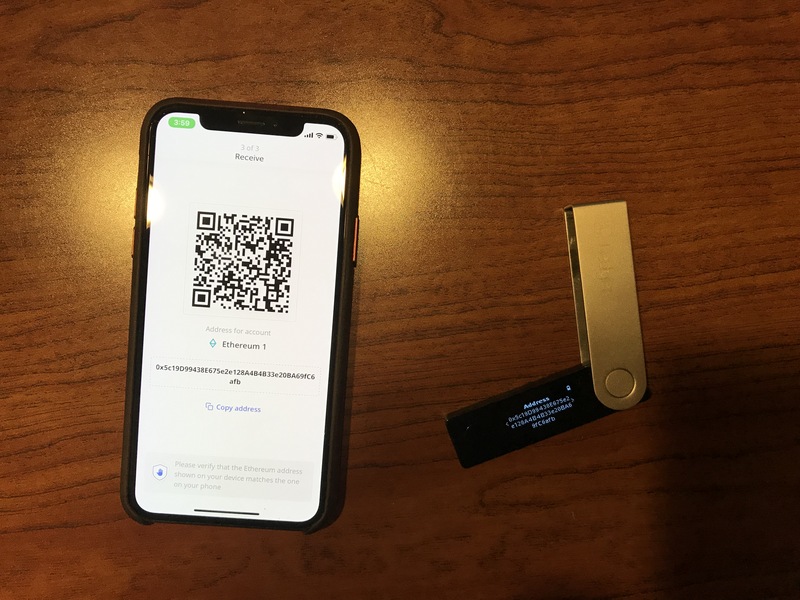 When you need to validate a transaction on your Ledger Nano X, your phone will pair with your Ledger device over Bluetooth. You can then view transaction information on your Ledger device and approve the transaction on the device itself. What makes Ledger so secure is that your private keys never leave your Ledger device. Transactions are signed directly on the device. Your private keys are never sent over Bluetooth and your cryptocurrencies remain safe even if your smartphone is compromised. Ledger now uses an ST33 secure element, which is slightly more secure than the previous version ST31. Now, there’s only a single chip, connected directly to the screen and buttons, which reduces the risk of having someone compromise the information on your screen. The screen is now twice as tall, which lets you view full public addresses without a scrolling view. You can now install up to 100 different cryptocurrency apps. You can still plug the device into a computer and use the desktop app, as well. The device costs $120/€120. Disclosure: I own small amounts of various cryptocurrencies.